Deadline is EXTENDED to 10 April 2019. Call for papers / posters is closed. Acceptance / rejection of submissions will be announced to authors by 26 March. check www.e-a-a.org/eaa2019/grants for Grant selection criteria for EAA 2019, and how to apply. Deadline is 11 April 2019, 23:59 CET! Register for the 25th Annual Meeting in Bern. Please note that eventually all Annual Meeting participants have to be current (2019) EAA members and register for the Annual Meeting online. 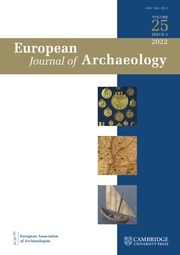 Revista d'Arqueologia de Ponent 28: 383-389. The EAA Repository now contains all sessions and presentations accepted for the 24th EAA Annual Meeting in Barcelona. The content will be updated annually. Everone is welcomed to meet the EAA Executive Board and staff on Thursday 6 September 13 - 14 pm at the EAA stand no. 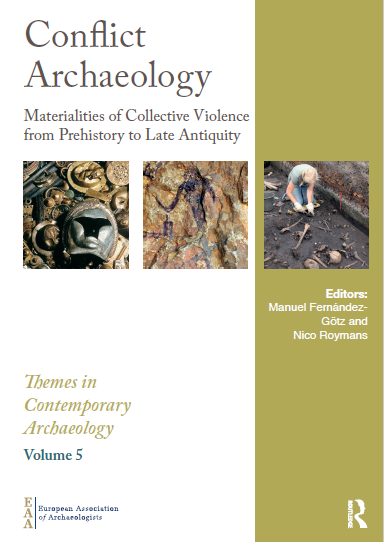 25 - 26 in the European Archaeology Fair exhibition area in CCCB Building, -1 floor, Montalegre 5, 08001 Barcelona. The EAA stand is going to be a point to interact openly and permanently with members, and you are of course welcome to stop by the EAA stand any time - we will be happy to meet you, and you perhaps will find it interesting to speak to us. We appreciate any comment or suggestion you transmit to us. will be held on Friday 7 September 2018 18:40 – 20:00 in room no. UB4M. Please download documents informing your participation here. are now available in pdf. Please note that minor changes may still occur. for 24th EAA Annual Meeting in Barcelona. a part-time Financial and Accounting Assistant. Deadline 6 November 2018. The EnTIRE project aims to create an online platform that makes information about research Integrity and research ethics easily accessible to the research community. is looking for experts with experience in Civil Society Organisations (CSOs) to assist in the evaluation of proposals. Please note that the EAA Secretariat is closed from 23 December 2017 to 2 January 2018.
helpdesk@e-a-a.org will ensure prompt replies to your queries regarding EAA membership, Annual Meeting or anything related to EAA. EAA members can read the journal online after signing in. Cambridge University Press has approached EAA to propose Elements, a new series of digital publications that will complete the current range of EAA publications. We are happy to report that Christie's has withdrawn the unprovenanced Roman marble figurine from auction to be held on 25 October.